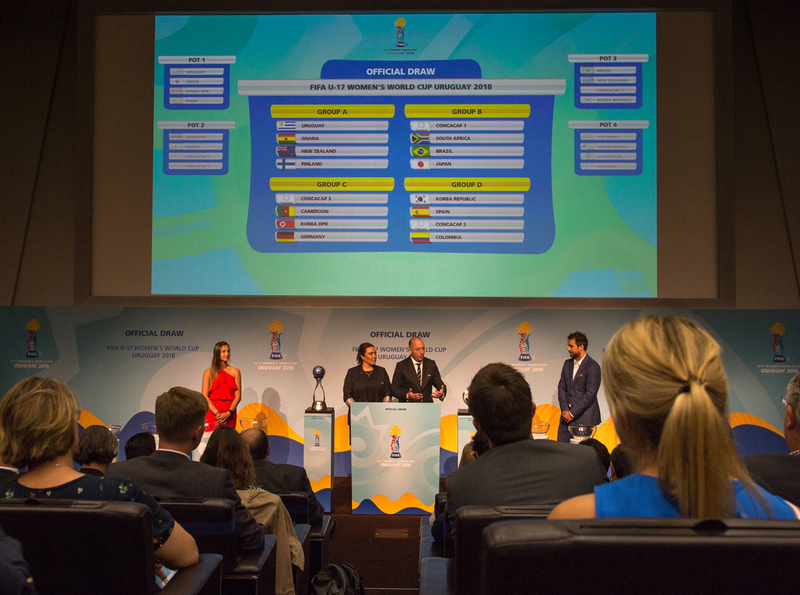 The road to the FIFA U-17 Women’s World Cup Uruguay 2018 reached an important milestone on Wednesday, as the Official Draw was held in the Auditorium at the Home of FIFA, in Zurich. Oceania representatives New Zealand, who won last year’s OFC U-16 Women’s Championship in Samoa, have been drawn in Group A alongside the hosts Uruguay, Ghana and Finland. On 13 November in Montevideo, host nation Uruguay will take on Ghana in the opening game. Also that day, New Zealand will lock horns with tournament debutants Finland in the same section. The event was attended by Sarai Bareman, FIFA’s Chief Women’s Football Officer, and Rafael Fernandez, president of the Local Organising Committee. Conducting proceedings were Bareman with Jaime Yarza, FIFA’s Head of Tournaments. Both were assisted by official tournament ambassador Deyna Castellanos (Venezuela) and FIFA Legend Niko Kranjcar (Croatia). Among the national team coaches of the participating teams were Marko Solaranta (Finland), Anouschka Bernhard (Germany) and María Antonia Is Piñeira (Spain). “Stars like Carli Lloyd, Lieke Martens and Deyna Castellanos all emerged from the FIFA U-17 Women’s World Cup. Today we’re tracing a path for the next generation of footballers that will shine on the international stage. And it is a generation that will, I’m sure, continue to write the story of the growth and development of women’s football,” Bareman said. “To the players that will compete in Uruguay I would tell them the tournament can change their lives like it changed mine, and they should not be afraid to show all their talent,” Castellanos said.